While this was very exciting (it has been in the works for a long time), we were anxious that many people might resist to update to v2 and just stick to v1. How can we make people update their software? Let's be honest. No one likes software updates, mostly due to bad experiences from years ago, where they would take ages to complete and sometimes just freeze at 95%. "Apple brings more than 70 new emoji to iPhone with iOS 12.1" states a press release by Apple. Usually, every new emoji update generates a lot of buzz. If this doesn't make you upgrade, what else? So, we thought, what can we add to the "boring" stuff to make people really want to update? 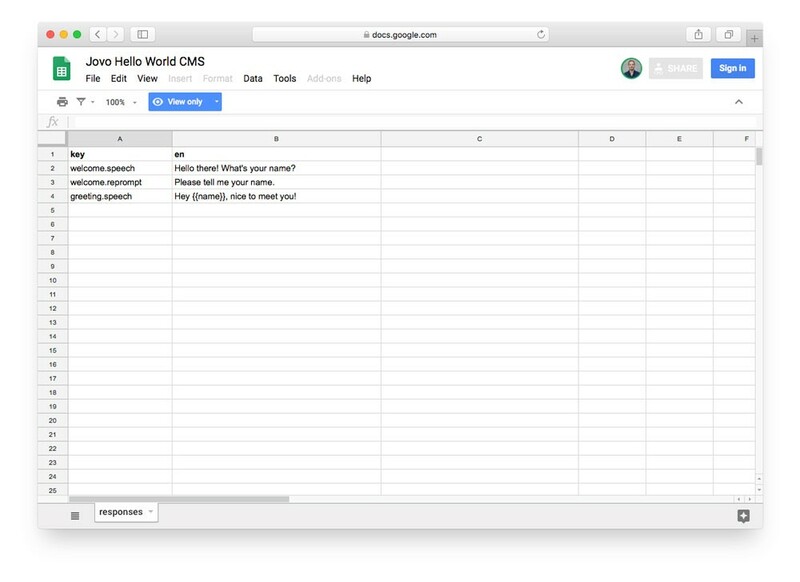 Learn more here: Use Google Sheets as CMS for your Voice App. And so far, people have been upgrading to v2. We can't really measure the reason for it, but the CMS integration has had several hundreds of downloads since we published the package. I'm interested in hearing what you've been experimenting with!